Anthony Atamanuik can be seen as the host/President Trump on Comedy Central’s THE PRESIDENT SHOW. Anthony has been performing at the Upright Citizens Brigade Theatre in New York for 17 years and teaching there for 13 years. He recurred on 30 ROCK as a “silent writer” and recently appeared on DIFFICULT PEOPLE (Hulu), and BROAD CITY (Comedy Central). Additionally, he wrote for the series TIME TRAVELING BONG on Comedy Central. 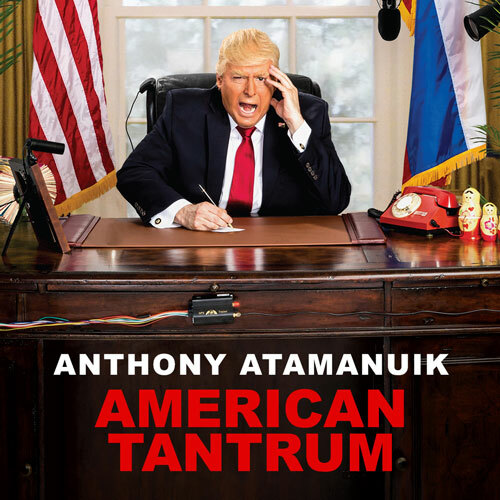 Selected as one of VARIETY’S 2016 COMICS TO WATCH, he has received critical acclaim and acquired a fervent new fan base with his pitch perfect Donald Trump impression which has also been featured heavily on Howard Stern. Anthony can be seen in the final season of UNBREAKABLE KIMMY SCHMIDT. He is a WGA Award nominee for his work on Season 1 of THE PRESIDENT SHOW.